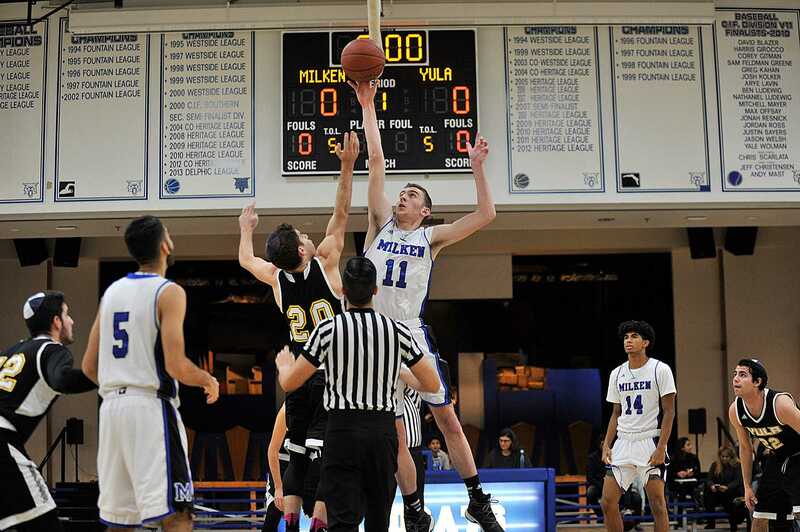 Milken senior, Brian Pearlman ‘17, sat down with The Roar to discuss his experience of playing in one of the best seasons that the Varsity Boys’ Basketball team has ever had. With its recent league victory, the team made its way to CIF Southern Section Finals for the first time ever. I’ve been playing basketball ever since I was 5. This is my fourth year playing basketball at Milken. What do you value most about your basketball team? I value the love we have for each other the most. There is nothing I wouldn’t do for my teammates. What play of yours stands out most to you? I’ll never forget Doron Matian throwing a lob to me in a game against Buckley. I don’t even know how he saw an opening, but he threw it up there and I scored it. Is there anything you have to say to any younger student athletes? To younger student athletes, do not give up. You might get cut or you might not make varsity at first, but if you work hard, you will definitely be rewarded. My favorite part of the season was winning the League Championship. It was something we dreamed about in regular season, and nothing was sweeter than seeing a dream become reality. Who is your coach and how has he impacted your experience on the team? Coach Whiting is my coach. He is also one of the main reasons I came to Milken. I wouldn’t be the player I am today if it weren’t for him. How does it feel to have made it to CIF? It is humbling to make it to CIF. Thousands of teams want to be in the spot we are in, so to have a shot at the title is an opportunity I’ll only get once in my life. What are you going to miss about the Milken basketball team when you graduate? I am going to miss taking the court with my brothers. I love them and I have forged memories with them that I will never forget. Do you plan on playing basketball in college? I don’t want to play in college, although I want to be a part of the team in someway wherever I go. My goal is to be a student manager. Next articleAren’t We All Immigrants?